If you’re worried about Russian hackers and having your innermost thoughts stolen and put on Facebook, there’s always the old school solution of writing your personal stuff in a notebook or journal. 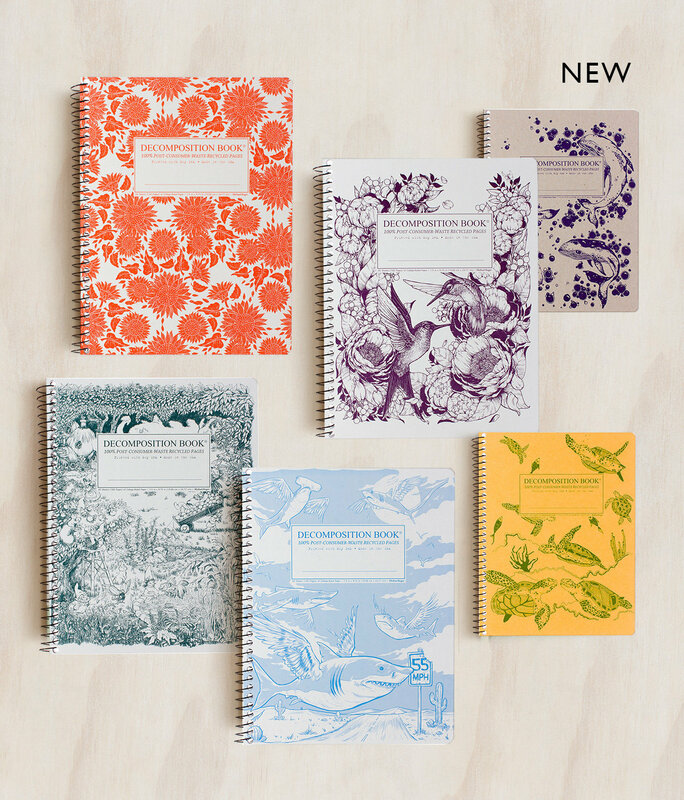 Decomposition Book have some exciting new designs. There are six new covers plus two completely new styles — cork journals and a notebook twin pack. 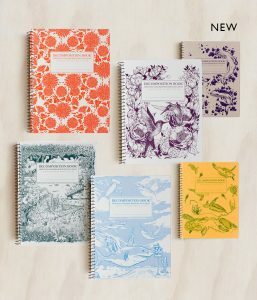 They also have plenty of stock of the existing notebook designs and the distinctive Decomposition Book wrap range. There are Decomposition Book Floor Stands available to order too. So if you want to improve your merchandising and range with a dedicated stand, please speak to your Telegram Co. representative. 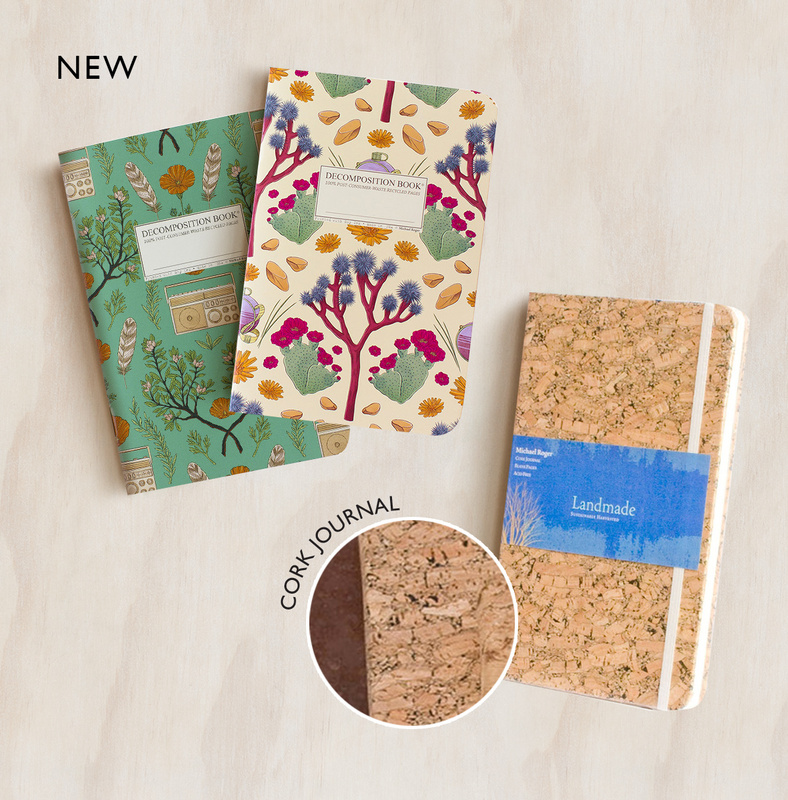 All notebooks are made from completely recycled materials. The card covers are 100% post consumer waste and the energy used in production is bio-gas. The paper is 100% recycled and the ink is soy derived. Existing Telegram Co. customers can order these items via store.telegramco.com. 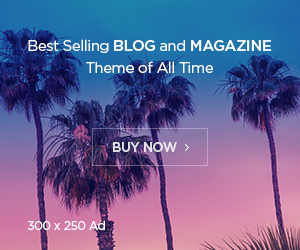 Please note, with the new website, you must log in to see the product range. If you don’t have a log in as yet, please email service@telegramco.com to arrange access or request approval to stock this brand. For further information or any assistance please contact Telegram Customer Service on +61 3 9318 0822.